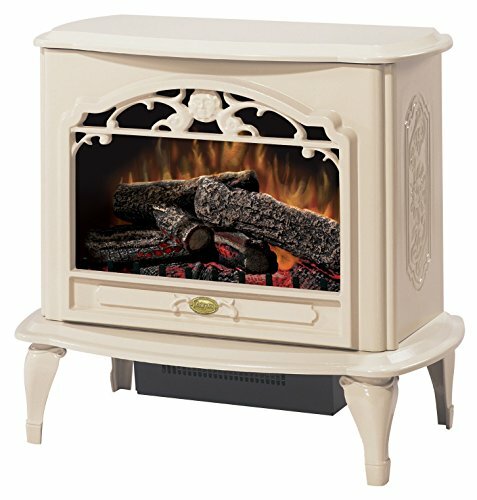 Reminiscent of old-world craftsmanship, this elegant gloss cream finish stove design hearkens back to a less complicated era for a soothing, finishing touch in any room. Purifier air treatment system filters airborne allergens and particulates. Warranty: The electric stove is warranted to be free from defects for a period of one (1) year from the date of purchase. 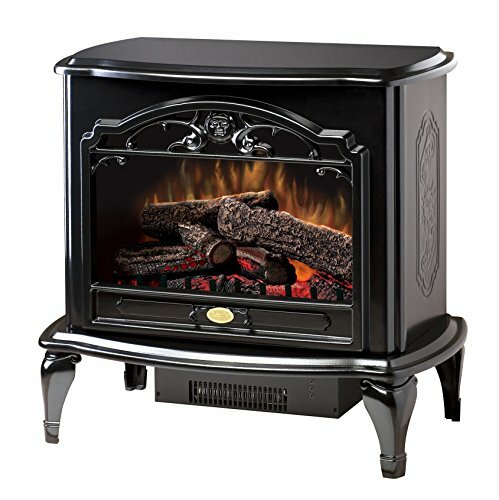 Reminiscent of old-world craftsmanship, this elegant gloss black finish stove design hearkens back to a less complicated era for a soothing, finishing touch in any room. Purifier air treatment system filters airborne allergens and particulates. 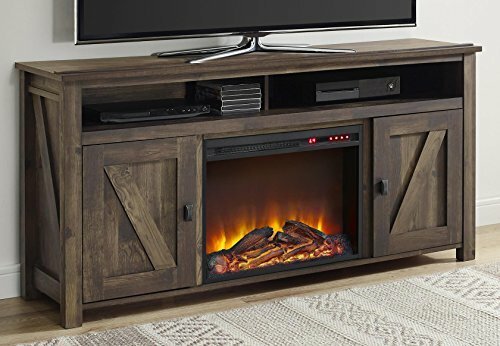 Create a warm and inviting atmosphere in your home with the Ameriwood Home Farmington Electric Fireplace TV Console. The Console includes a remote controlled 23 electric fireplace insert that gives a realistic glow of a wood burning flame without all the cleanup and work of a wood burning fireplace. This fireplace will heat up a room up to 400 sq. ft. to the perfect temperature from 72 to 82 or use it to create a relaxing ambiance with its multiple light settings without the heat option. The LED light source boast up to 50,000 hours of life for a fireplace that will last for years to come. The weathered medium brown finish emulates the color and texture of an old wooden barn giving this piece a cozy feel. This TV Console is built to accommodate flat panel TVs up to 60 wide and up to 95 lbs. The Farmington also includes 2 side cabinets that conceal 4 storage shelves and a large open divided shelve for your cable box, DVD player or video gaming system. After proper assembly by 2 adults, this unit measures to be 29.125 h x 59.625 w x 15.6875 d and is crafted out of laminated MDF and particleboard with a metal frame insert. Add warmth and a flickering flame effect to any living space with our value-priced compact electric stove for a safe, economical way to heat your home. 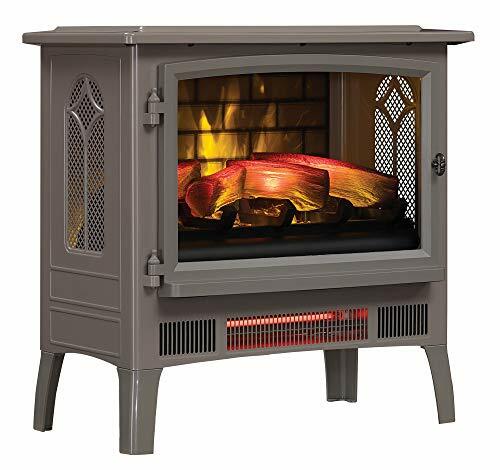 Styled to resemble a wood burning stove, this plug-in heater is highly portable, so it can go from room to room with ease. 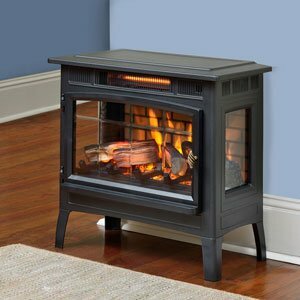 Our compact electric stove is great for living room, bedroom, kitchen, even dorm room! our compact electric stove features a realistic dancing flame pattern that can be operated independently from the heater; temperature and flame controls are discretely placed behind a pull-down door for a clean, realistic appearance. Your guests will love the old rustic look of the Ameriwood Home Farmington TV Stand. Inspired by the weathered look of an old barn, this TV stand is full of character and brings a unique style element to your space. 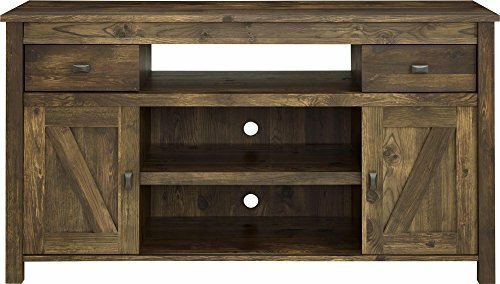 The textured weathered medium brown finish gives this TV stand its worn appearance and feel, but don t worry this incredible piece of furniture is designed to last. Take advantage of various open compartments and closed storage to keep all of your media essentials like your DVD player, cable box and video game systems organized. The sliding doors can be placed in the center or on the ends however you like it best! This Farmington TV stand is the perfect combination of practical and stylish storage to fit your living room needs. It holds up to a 60 flat panel TV with a maximum weight of 135 lbs. After assembly this laminated MDF and particleboard stand measures to be 32"h x 59.625"w X 19.6875"d. This Farmington TV Stand requires assembly upon delivery and ships in two boxes. Two adults are recommended for proper assembly. 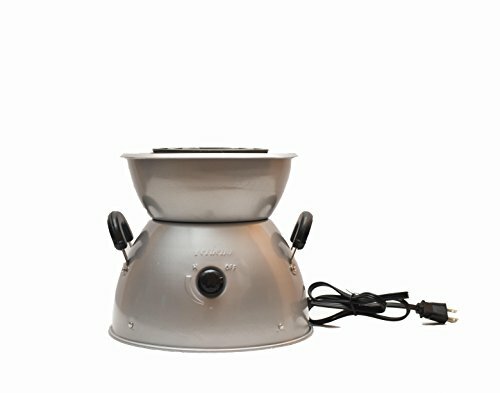 Niat Single Burner Electric Stove is ideal for home, dorm, or office use to cooking your food or make a coffee quickly. It can also be used for cooking outdoors. It has adjustable temperature control with Off, Low, Med, and High settings. It may be plugged to a 120V AC power outlet. This appliance is for Household use ONLY. Heating element lifts up for easy cleaning of chrome drip pan An easy to use temperature regulating knob with heat distribution coils Perfectly even heat distribution with coiled heating element. 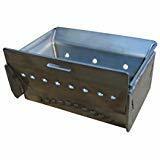 Catch drippings or spills in convenient easy to clean drip pan. Compact and space-saving, perfect for small kitchen areas and apartments. Makes a great addition to any back-to-school college dorms or kitchens. 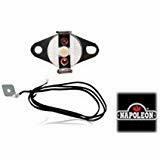 Great for travel use and on-the-go in recreational vehicles. Save energy and use in the office or small business kitchen areas. Perfectly even heat distribution with coiled heating element. 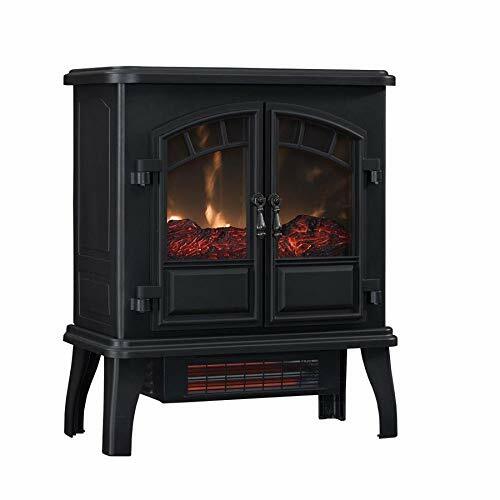 "Bring charm and warmth to your home with this Duraflame Infragen Stove 3D Heater that combines the wide-reaching heat of infrared quartz with the instant directional heating of halogen technology for effective heat you feel faster. Save money when you use it to provide supplemental zone heating up to 1,000 sq. ft. - without reducing the natural humidity in the air. 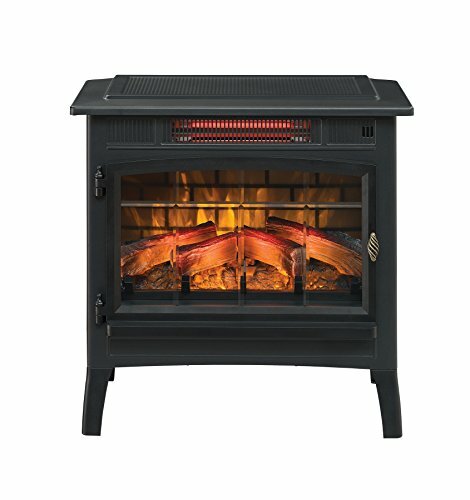 The 3D flame effect features realistic flames that dance on and behind the logs, with five adjustable brightness settings and can be used with or without heat year-round. Remote control with 2AAA batteries included. 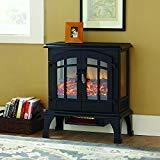 Manufactured and distributed by Twin-Star International, Inc., under license from Duraflame, Inc. duraflame, the flame symbol and logo are registered trademarks of Duraflame, Inc."
Brand: Hampton Bay | Manufacturer: GHP-Group Inc.